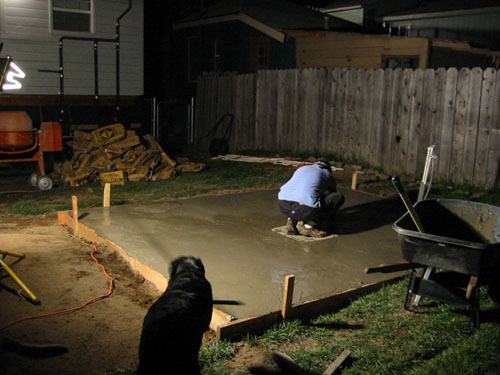 Today was the day appointed for placing the concrete for the shed foundation, and it dawned chilly but clear, with all signs looking good for having a floor by nightfall. In the mid-morning, while we were fussing around the garden, the concrete arrived. 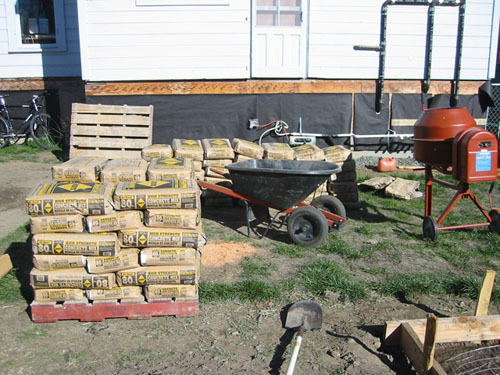 The pallets each had 42 80-lb sacks on them, giving us three tons of concrete to move from the driveway to the back yard before we could work. The mixer was the real star of the day; we'd be totally dead if we'd had to hand mix the stuff, but as it was, the time it took Noel to mix a bag was the amount of time it took me to place it in the formwork and smooth it out. 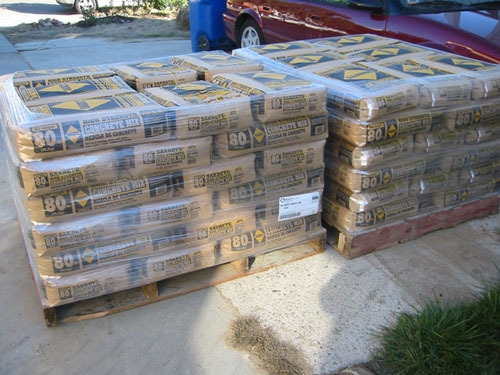 The horrid moment was when we realized we really needed just one more sack of concrete. Fortunately, the local hardware store was still open, so Noel ran over and got two sacks (just in case). And we were able to finish the job. This was completely exhausting. Tomorrow we're going to rest.